DNP Luxury media is specially designed with a metallic color layer that will bring your images to life like never before. Both Metallic and Silver Pearl media are available as a premium, single-roll package. The new Metallic media accentuates eye-popping color for vibrant images — bringing out the bright energy and detail of sports and wildlife images, landscapes, sunsets, cityscapes and much more. 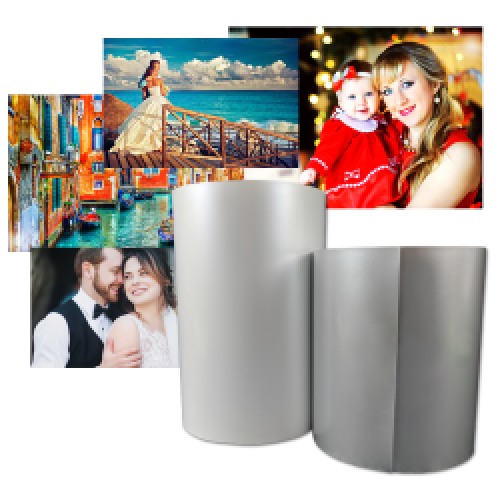 Digital Imaging Solutions that solve your Photo Printing Challenges. At Event Photo Market, We are more than just a digital imaging technology provider. We’re a team of digital imaging enthusiasts, problem-solvers and industry veterans dedicated to providing professional photographers and serious amateurs valuable advice and custom solutions, all with exceptional customer service.